These are the latest glasses from eyewear Italian company Salice. 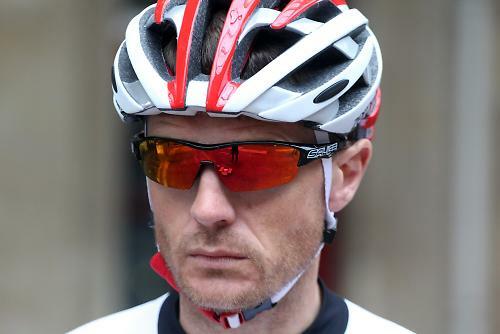 They're a fair price and offer a stylish frame design, a wide choice of colours and the interchangeable lens ensures you're prepared for a range of conditions. You also get a protective hardcase included in the price. The lightweight frame is made from a Grilamid material. You notice the lack of bulk when you first extract them from the hard case, and on the scales they compare very favourably with other shades on the market. They're light, and you notice this when wearing them too. The fit is also very good with the arms sitting nicely at the side of the head, and the nose piece sitting comfortably on the bridge of the nose. The frames have a bit of flex which helps them fit a range of head sizes. There are Megol rubber inserts on the three main contact points which helps keep them in place, and they continue to remain in place even when extremely sweaty. Lenses can easily be removed. However, with no supplied instructions in the case, I resorted to a Google search, and quickly found the Salice instructions. The reason for the search is because it's not immediately obvious how the lenses pop out, and with brand new glasses the last thing you want to do is wrestle them to destruction. Once you know how, removing lenses is easy, so it does involve gripping the lenses which means you need to clean them after a change. You get two lenses in the hard case. One has a tinted multi-layer mirror coating that is ideal for sunny days, but it's not as dark as some tinted lenses so it's really good in a wider range of weather and light conditions. 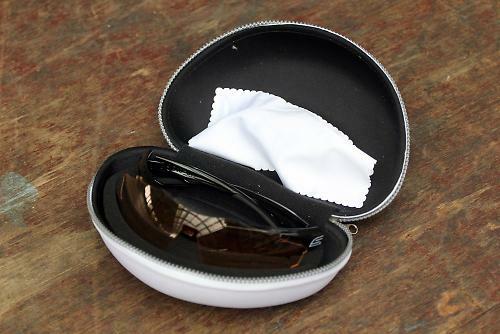 The other is a low-light orange lens that's ideal for overcast days, and got a lot of use on evening rides. There is no venting on the lenses and they do tend to fog up on slower climbs a little more easily than vented lenses. Both provide good, crisp, clear vision and a wide range of protection from wasp missiles and other debris that can stray towards your eyes. These glasses do all the important things well. They provide a clear, sharp view, and most conditions are covered by the two tints provided. They fit well and stay in place without moving about, and they're not too tight at the temples.They work well with a range of helmet brands, and lastly, they look good too. A reasonable price for a lightweight frame, pair of lenses and hard case, putting more expensive offerings to shame. Excellent lens and good comfort. Lens removal instructions supplied in the box would be nice.